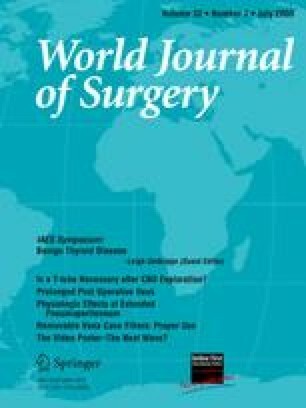 The present study was designed to investigate the diagnostic ability of computed tomography (CT) and ultrasonography (USG) in the preoperative evaluation of the cervical nodal status of patients with thyroid cancer. The study population consisted of 37 consecutive patients (female:male = 30:7, age range: 20–68 years) who subsequently underwent total thyroidectomy and neck dissection for thyroid cancer. The results of the review of the preoperative CT and those of the original USG reports were compared with the histopathologic results. The accuracy was evaluated by “per level” and “per patient” analyses of whether the CT or USG results had or had not altered the choice of surgical method. By “per level” analysis, the sensitivities, specificities, and diagnostic accuracies were 77%, 70%, 74% for CT and 62%, 79%, 68% for USG, respectively, with a significant difference in the sensitivities (p = 0.002). When the lymph node levels were grouped into central and lateral compartments, all of the values for the lateral compartment tended to be higher than those for the central compartment for both CT (78%, 78%, 78% versus 74%, 44%, 64%) and USG (65%, 82%, 71 versus 55%, 69%, 60%). By per patient analysis, the sensitivities, specificities, and diagnostic accuracies of CT and USG were 100%, 90%, 97% and 100%, 80%, 95%, respectively. Despite of very high accuracy of USG by per patient analysis, the superior sensitivity of CT on the per level analysis may enable CT to play a complementary role for determining the surgical extent in selected patients with thyroid cancer. The authors thank Bonnie Hami, MA, Department of Radiology, University Hospitals Health System, Cleveland, Ohio, for her editorial assistance in preparing the manuscript.